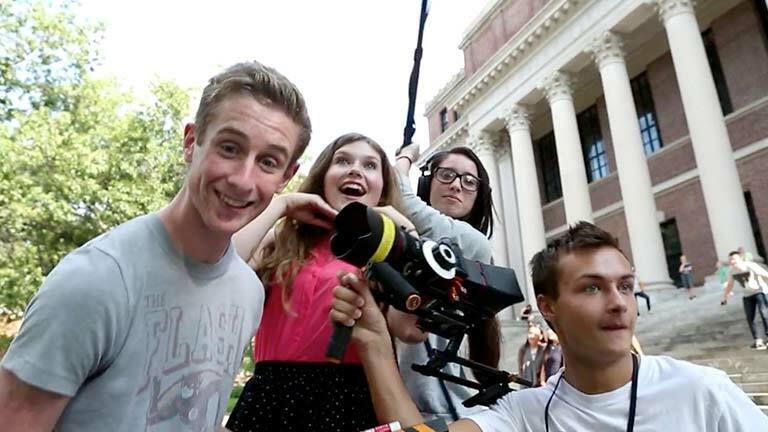 Offered each summer at Harvard University, New York Film Academy offers its acclaimed summer camps in filmmaking, acting for film, and 3D animation. Harvard is a prestigious Ivy League university, perhaps the most famous learning institution in the world. Harvard is located in the charming, dynamic city of Cambridge, just minutes away from Boston, the “capital” of New England. The University’s roots in Cambridge are widespread, charging the city with a unique and intellectually invigorating atmosphere. In this environment, NYFA summer camp students are challenged to achieve their potential at the highest level. New York Film Academy Summer Camps are held in Memorial Hall and Lowell Hall, a Ruskinian Gothic memorial to Harvard’s Union casualties from the Civil War, built in 1878. This majestic structure is conveniently located close to Harvard Square’s historical, commercial, and academic resources. Cambridge and Boston, two of the oldest cities in the United States, offer innumerable locations and sites to film, be inspired by in their animation, and to use as locations for acting in student films. Situated north of Boston, Cambridge is a hi-tech and cultured city that has served as an attraction for artists and scholars for centuries. Whether it’s capturing the iconic image of the Harvard Crew rowing down the Charles River or visiting where Paul Revere took his famous horse ride, Cambridge is simply teeming with American history and culture, creating a truly rich environment for students. In addition to exploring Cambridge, students also make frequent trips into Boston, a twenty-minute train ride away. New York Film Academy students living on campus will reside in Claverly Hall, part of the Adam’s House dormitory complex. The dining hall and classes are located in Memorial Hall. Adams House has often been called “Harvard’s most historic House.” Its former residents include Franklin Roosevelt, Buckminster Fuller, William Burroughs, William Randolph Hearst, Jr., Henry Kissinger, Bernard Law, Martin Feldstein, and William Weld. John Kennedy met with his senior thesis adviser in the Coolidge Room. Aaron Copland lived in the House as a guest. More recently, Fred Gwynne, Peter Sellars, John Lithgow, and Donal Logue have lived in Adams and added to its reputation as a haven for the performing arts. The dormitory is a 10-minute walk from campus and students may walk at their leisure without a counselor from the dormitories to Memorial Hall. Students spend the majority of their day in class, on shoots on campus with their instructors or teaching assistants, and/or working in professional labs with industry standard software. Following class, when time allows students have the ability to roam freely on campus and patronize establishments in Harvard Square and the surrounding urban environment. Students must inform their counselor of their destinations in Harvard Square and they must adhere to our Buddy System—no student is allowed to roam alone. Although students may explore the Square they must stay within a certain radius of Harvard Campus proper. That radius is clearly outlined at the onset of the program. If any parent requires that their child not be permitted to explore Harvard Square without a counselor, please contact the Film Academy and we will make the necessary arrangements. SWeekend activities are mandatory for housed students and include daylong trips. Counselors attend and supervise these outings. Additional activities take place nearly every weeknight and on Sundays as well, and these are optional. In case of medical emergency, students are taken to Cambridge or Auburn Hospital. We require that all students submit their medical insurance information prior to the workshop. Although the camp’s daily schedule is demanding, non-commuting students will take part in organized activities in and around the Harvard campus. Cambridge is a vibrant college town with dozens of restaurants, cafés, bookstores, ice cream shops, and pizza parlors encircling the university. One can find almost anything in the city, from independent record and comic book stores to clothing boutiques. 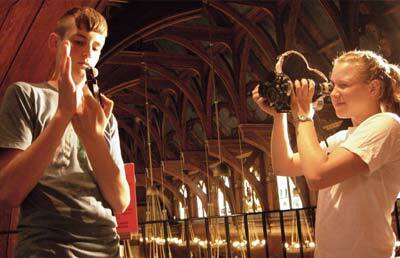 A number of world-class museums are in the area, including the Gardner Museum and the Harvard University Art Museums. Theatrical productions are held in Cambridge throughout the summer, for example, at the famed American Repertory Theatre (A.R.T.). Students enjoy excursions to the many cultural offerings of Boston, located a short twenty-minute train ride away. New York Film Academy students have the option of living in supervised Harvard dormitories on campus. See Housing Options for details. 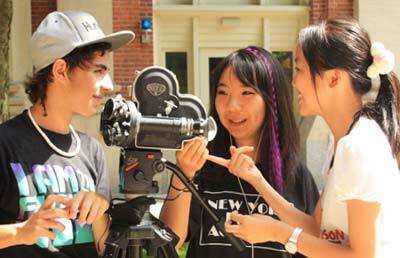 Click here to learn more about NYFA’s camps at Harvard, the dates, and tuition information. 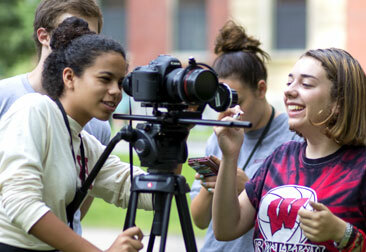 **Students may take 1 Week Filmmaking Camp, 1 Week Acting Camp in two consecutive weeks.